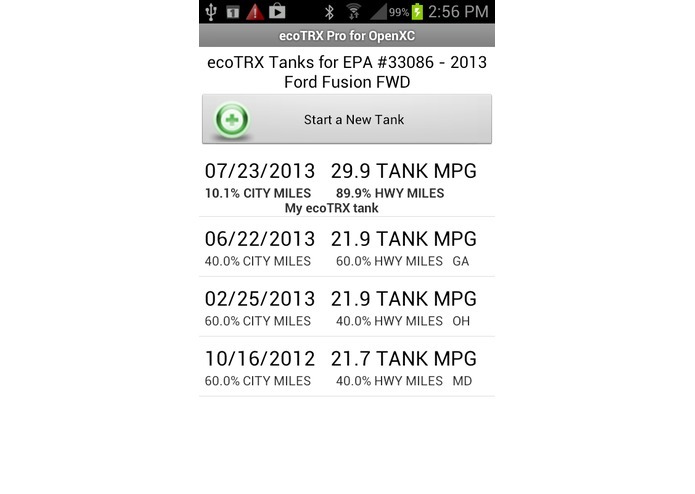 The ecoTRX™ Pro for OpenXC App will help you achieve and report highly personalized fuel economy levels. ecoTRX Pro combines your real time vehicle data from OpenXC, NOAA weather data, USGS terrain data, and EPA vehicle data to provide personalized and context-aware MPG information during and after your trip. Using ecoTRX Pro for OpenXC is like having a personal trainer from the EPA along for your drives, delivering detailed information about how your driving behavior affects your fuel economy. 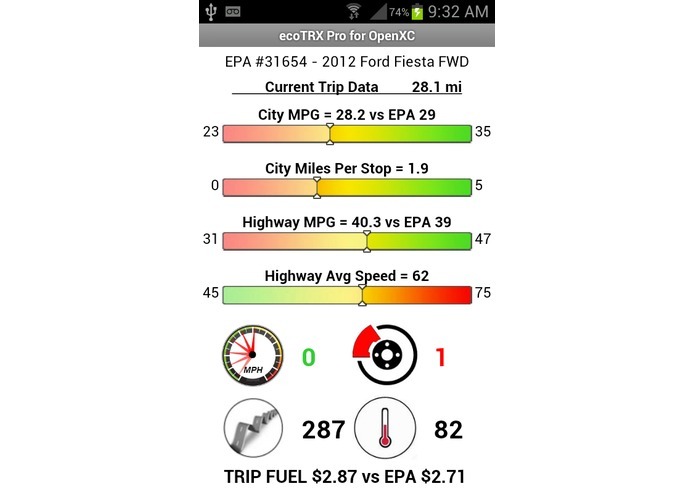 ecoTRX for OpenXC harnesses the Android Text To Speech (TTS) engine to deliver this personalized MPG information in an audio format to help keep your eyes on the road. In addition to behavior-based performance metrics, the app tracks your Personal Best city and highway fuel economy and rewards you with congratulations and "Virtual Award" plaque images that you can share with others. 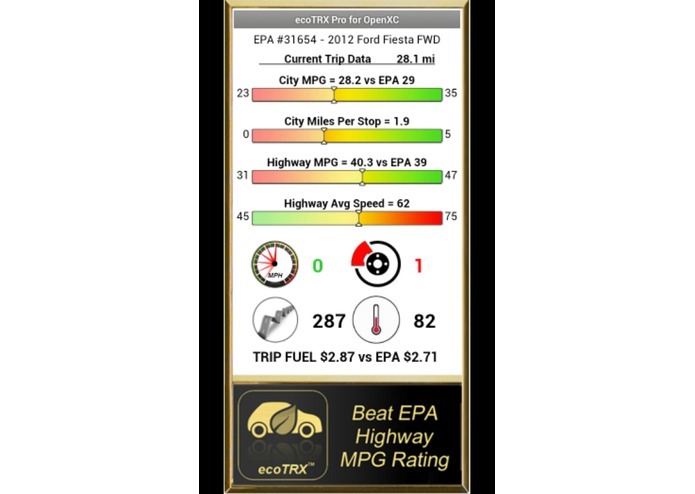 ecoTRX Pro for OpenXC provides an easy to use, informative, fun and safe app experience to help you become a more economical driver.